The AGM took place yesterday, 14th April 2013, immediately after our annual relays. Reports from the Chair; Secretary & Race Walking appear below. MINUTES of the 41st Annual General Meeting held at Donisthorpe Woodland Park, Donisthorpe on Sunday 14 April 2013. APOLOGIES Apologies were received from Eric Horwill; Pam Horwill; Denis Rafferty; Carol Rafferty; Tony Jeffs; Phil Owen. Chris Rollason. The Minutes of the 40th Annual General Meeting were approved unanimously as a true record – Proposed Rita Brownlie; Seconded: Adrian Lloyd. The Chairman circulated her report and this will be reproduced in the next newsletter. She was very grateful for the support of the new Treasurer, Martin Wilkinson, and for the excellent work of Tom Morris (who had “worked his socks off”). The committee of MMAC continued to have an excellent reputation and was called upon to help in events organised by BMAF and other regional clubs. The Treasurer circulated his report and commented on the items therein. “The club continues with a surplus of £21,475 – this is less than last year due to investment in club equipment and the 40th Anniversary. Almost half the surplus relates to the Denis Withers bequest and another £3.5k subscriptions paid in advance. In preparing the accounts I have included depreciation of assets at the rate of 25% for electrical/IT equipment and 10% for other items. The value of the club is £417 less than 2011. Investment has been made in club equipment including two sail banners and limited merchandise including club vests. The committee agreed to subsidise vest sales to enable members who are chosen as part of a MMAC representative Team to buy them at £10 each to encourage uniformity. MMAC committee underwrote the 40th Anniversary event up to £1000 from the club surplus… The final cost of the event was £793. Newsletter costs are beginning to reduce. Postage is now 50p per newsletter – a discount to members for online subscription of £2 was offered in April 2012. This does not cover the full cost of the newsletter. It is anticipated that there will be a further reduction in costs in 2014. There has been a small rise in official’s expenses with the agreed increase in travel mileage from 25p to 30p in the last quarter of 2012. The Santander Deposit account was a redundant account with very low interest rates and has been closed. Arrangements have been made through Lloyds Bank for a savings account and to deposit some of the surplus on long-term deposit at a fixed interest rate. Subscriptions In order to cover costs of the newsletter and substantial increases in affiliation fees, it will be necessary to increase the subscriptions to £17.00 with a discount of £2 for those members declining a postal copy. Proposed: Martin Wilkinson; Seconded: Adrian Lloyd. Approved unanimously. This will be effective from 1 January 2014. The Chairman congratulated Martin on his excellent accounts and they were accepted unanimously. Irene Nicholls asked that it be noted that the Colin Simpson Memorial Trophy for the England Athletics Inter Area Indoor meeting would be sponsored by MMAC. (b) The Committee shall agree the appointed Bankers. (c) Signatories for the Bank mandate and financial instructions to the Bank will be from a minimum of two officers. a. Committee members on official MMAC business. c. MMAC members representing England. d. Others as agreed from time to time by the committee. (f) The accounts for the preceding year will be presented to the Annual General Meeting. (g) The accounts will be subjected to independent audit if at least 10% of the membership makes a request to the Chairman in writing at least 1 month before the end of the financial year that the audit is being asked for. The Constitution was originally agreed upon at the Annual General Meeting held in November 1993. The Constitution was amended, updated and agreed upon at the AGM held on 17 April 2011 and then subsequently on 14 April 2013. Tom Morris circulated his report. It was noted that with the increasing use of email, the postal correspondence continues to reduce. There are currently 677 members (including nine complimentary) and 114 members from 2012 have not renewed, despite several reminders. 87% of the membership is on email, increasing from 79% last year. The web site and Facebook continue to be well supported. During the year an option of paying subscriptions by BACS was introduced and this drastically cut down on administration and coupled with the standing order option introduced in late 2011 has streamlined the whole process. Tom went on to thank the officers and committee for their support during the year. Special thanks to Irene Nicholls, Martin Wilkinson, Margaret Simpson, Adrian Lloyd and Phil Owen for their continued support. The Chairman thanked Tom for his report and this was endorsed by all present. Walks Eric Horwill reported a relatively quiet year with fewer participants than in recent years. Nevertheless, there have been several notable performances at national and international levels. The England & Ireland International based on age related results was revived at the well supported 5K BMAF road event at Horwich. Because of clashes we have not been able to have our MMAC 5K handicap for the last 2 years. I will endeavour to find a suitable date/fixture for 2013/14. Anne Wheeler won the MARWA award for the best performance by a Midland walker in Masters International events for 2013. Cross Country Mick Smedley asked that athletes wishing to be considered for selection for the International CC should ensure that their recent times are recorded and forwarded to him in good time. Track & Field Paul Tasker had indicated that he did not wish to continue in this office. MV T&F League Tony Crocker had already resigned earlier in the year. Adrian Lloyd had little to report. The Committee dinner had been most enjoyable but he felt that it would be unwise to attempt to organise any social events for the club due to lack of support by members and that any future events would be for committee members and guests. Margaret Simpson expressed her thanks to Lou Satterthwaite for his personal and technical assistance with the newsletter. The Chairman thanked Adrian Lloyd for his support and hard work during the year and presented him with a memento of his year of office as president. In turn he awarded the President’s trophy to Treasurer, Martin Wilkinson, together with a personal award of a painted glass trophy designed and produced by Lindsay Lloyd. Adrian then took the Chair for the election of the Chairman. The outgoing President presented the Chain of Office to the new President, Marcia Smedley. Vice Chairman – Rita Brownlie; Secretary: Tom Morris; Treasurer: Martin Wilkinson. Media Manager: Brian Owen; Handicapper: Eric Horwill. The Chairman closed the meeting with thanks to everyone for attending. The most important point to report here was the decision, after considerable discussion, to raise the 2014 subscriptions to £17 for members who receive the postal Newsletter or £15 if members opt to read the Newsletter online. The reason for the increases are to accommodate increases in affiliation fees and the increase costs of both postage and in implementing and running the new database for paying both subscriptions and entries to events online. It is worth pointing out here that these new rates are still below the average for the regional masters clubs. The list of the Officers & Committee can be accessed by either clicking on the “Contact” button or looking under “Officers & Contacts” on the “Membership” page. How quickly the years roll around. It does not seem long since we were at Donisthorpe to hold our 40th AGM of the Club. We have had an interesting year with hard working Adrian Lloyd as our President, the introduction of Lou Satterthwaite to help Margaret with the newsletter and the return of John Walker as our Road & Cross Country Secretary. Our Inter Area Teams have had a roller coaster ride with magnificent success in the Outdoor Inter Area at Solihull where we took all the honours to a less than successful showing in London at the Indoor. However, the Midlands were honoured with the naming of the Trophies. The Colin Simpson Trophy for the men’s event went to Southern Counties who also managed to oust the opposition by taking the Women’s Trophy and obviously the Overall Irene Nicholls Cup. On our own turf in the summer with the support of our enthusiastic athletes we can reverse the process and bring back the bacon. We shall be looking for a new Team Manager following the departure of Paul Tasker – his successful contribution over the years has been much appreciated, I am sure that there is someone who feels able to take over the reins. The event will be held at Solihull on 20th July. Midland athletes were integral to the success of the England Cross Country Team in Belfast, winning all the trophies and taking medals in all age groups. Please put your name forward to Mick Smedley our Selector if you wish to compete in Wales in November. The date remains at 16th November but the venue has had to be changed to the south of the country and will be notified shortly. It is always heartening to meet our Officials and helpers at the various events around the country. Our reputation is such that we are called upon to organise and help to run national competitions of all disciplines. The Cross Country Relays were organised by Derby AC who used many of our officials, the national track & field championships were again in Derby and used our willing members. Many are on duty at the various Leagues and are involved with their own clubs coaching and officiating, administrating and organising. It used to be said that older athletes should not be competing but should work behind the scenes to bring on the next generation. My experience is that this happens all the time but the added excitement of competition keeps the edge on the delivery of all our other work. Witnessing the enjoyment and enthusiasm at close quarters last weekend in London brought home the benefits of involvement to both fitness and well being – so thanks to everyone who works so hard to provide and deliver the competition, to the athletes who enter our events and to the committee who see that our club remains viable and able to sustain all that is good in masters athletics. Many changes are occurring to the administrative set up of the Club. Tom has been working hard to ensure that we take full advantage of the new structures for the benefit of our members; he spends a great deal of his time at his computer besides all the consultations and all his other involvements. He has stepped in on many occasions to fill the breech when illness and incapacity has required it, many events would have had to be cancelled without his help. Thank you Tom. We can once more look back with pride but not complacency on a job well done. Our team is strong but stretched and we should appreciate some support, especially from our `younger’ members who will be required to take over from this willing but aging bunch – please offer help if you can it will be greatly appreciated. Thank you to Rita, my Vice Chair, and to all the hard working Committee for their support this year. Once again I found that 2012 was a busy and fruitful year, full of changes, successes, disappointments and enjoyment, giving the full gamut of emotions and experiences. As I wrote last year… “my how the year goes by quickly”. Or is it an age thing? The duties of General Secretary were again minimal with postal correspondence once more decreasing plus I have a very good committee back up. Email correspondence seems to be rising, going on the size of my Inbox and Outbox, mainly to do with membership enquiries and helping out with member’s queries on 1st & 2nd Claim status. I reported last year that 79% of our current membership is on email and increasing. Not surprisingly this figure has now risen to 87%, thus justifying the continued emphasis on improving our website and encouraging use of the social media to push our news and events. This is on the assumption that having an email address means access to and use of the internet. During the year we changed slightly the way we communicate with members by bulk email, using the MembeRise system instead of Clubbz. It’s the same company and they allowed us to utilise their system for free as it was still in the development phase. I thank everyone for their patience with the inevitable hiccups we experienced. The advantages of being able to send one email to every member in one go, quickly, far out ways these little aggravations. The website itself continues to get more and more views from all over the world as well as more views from members but I still feel that our members can get more out of it. I base this on email enquiries asking me for certain information when all details can be found on the website. Members need to do more work in this area to help themselves and allowing me to concentrate on other things. During 2012 the website received 48,945 views (not individual visits) a 79% increase on last year with a record 865 views on the 23rd January, the day after our cross country championships! We have 61 followers of our website. Our Facebook Group now has 175 members (not all MMAC members) and our Facebook Page regularly receives between 25 and 65 views when new items are posted. At the 2012 AGM, we took the decision to raise the subscriptions for the first time in 8 years and to offer a reduction if members opt-out of receiving the newsletter through the post. This was an important decision because postage costs alone for each edition of the newsletter was between £350 and £400. The practicalities on administration time in making this work proved not to be as easy as first thought and overall, although numbers of those members opting out increased slightly, it was not as many as hoped. The reason was that many members who had previously opted out, opted back in by virtue of the fact that they renewed subs at the higher rate, thus almost cancelling out the savings. Also during the year we introduced an option of paying subscriptions by BACS and many members renewing for 2013 took advantage of this method of payment. This drastically cut down on administration and coupled with the introduction of the standing order option late in 2011 has streamlined the whole process considerably. England Athletics announced in September radical changes in their registration fee structure, which sent us reeling as we were just about to embark on our subscription reminder campaign and I wanted our subscription amounts to be correct to avoid more work. This proved fruitless because the final decision on the EA fees didn’t come until December when our ‘early bird’ members had already paid. This resulted in me having to chase outstanding amounts, some of which are still due in March 2013! Promotional wise, we continued with our usual events. The big one of course, as always, is the National Masters Open Road Relays, which we organise on behalf of the BMAF in May. Our own open relay in April, held before the AGM, was moved to a new venue at Donisthorpe Woodland Park. Here we were treated to a lovely off-road course that proved very popular with the participants. The attendance at the following AGM was better than normal and those who partook of the Carvery went home more than fulfilled! June saw us at Nuneaton for the first time with our Track & Field Championships where another successful day ensued. Our 10k Road Championships made the successful move to the Wilne 10k where we were treated wonderfully by a very switched on race organiser and our 10 Mile Championships returned to the Sneyd Pudding Run. The more socially orientated events are always a struggle to get members to attend and the last few years has seen less emphasis on these. However in 2012 we felt that we had to mark what we thought was our 40th anniversary by a social event. The fact that it was 41 years, an error not even our older members picked up until close to the event, did not deter us! A very successful day ensued consisting of fun competition; tug of war demonstrations; food; fireworks and disco. All this was ably organised by Adrian Lloyd and his small team and a big thanks to them. Finally, I would like to thank the officers and committee for all their support during the year. Special thanks to Irene Nicholls; Martin Wilkinson; Margaret Simpson; Adrian Lloyd and Phil Owen for their help in various aspects of MMAC events. Thanks also to all our membership for their continued support. I am extremely grateful when I receive words of encouragement as well as constructive criticism from members. This feedback is always useful. This was a relatively quiet year with fewer participants than in recent years. Nevertheless, there have been several notable performances at National and International levels. Because of clashes we have not been able to have our MMAC 5k Handicap for the last 2 years, I will endeavour to find a suitable date/fixture for 2014. Ann Wheeler won the MARWA Award for the best performance by a Midland walker in Masters International events for 2013. 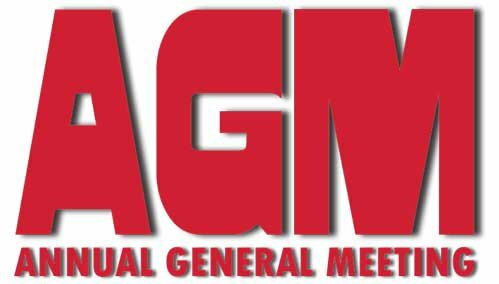 Notice is hereby given that the 41st Annual General Meeting of the MMAC will take place on Sunday, 14th April at 1.00pm at Donisthorpe Woodland Park, Church Street, Donisthorpe DE12 7PX. “To discuss an increase in subscription rates for 2014 owing to the recent increases in affiliation fees and other costs”. Amendments to the Constitution will be proposed by the Committee owing to changes in financial/banking procedures.